The iPad looks amazing when projected onto a large screen. The students in a 1 to 1 iPad classroom gets to see the apps at work. Have a look at the list below to see if any of these might be useful in your classroom. If you have others that should be added to this list please leave a comment with the name of the app and we will add it to the list. 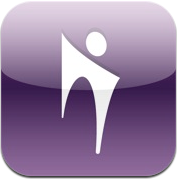 Turn your iPad and classroom computer into an Interactive Whiteboard with Doceri. Imagine the freedom to move around the room, interact with your students and never turn your back to the class. Requires Doceri Desktop - download a FREE TRIAL at www.doceri.com. Full version is $50. Doceri is the ultimate tool for presentations and lessons and accessible anywhere you have Wi-Fi. This is the ONLY remote desktop app that streams video and audio from your PC or Mac, allowing you to interact with your PowerPoint, Keynote, Word, Excel, Outlook, Quicken, IE, Firefox, Safari, World of Warcraft, and other PC / MAC applications. Remotely access your PC or MAC from any device! Edistorm is an online brainstorming tool that uses the metaphor of sticky notes to allow you to brainstorm. 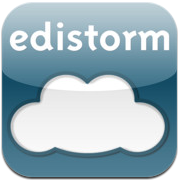 Edistorm is the best way to brainstorm before, during and after your meetings. 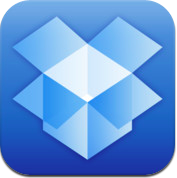 Edistorm allows you create brainstorms, add or retrieve your ideas anywhere you are. Visit Edistorm.com to organize your ideas and to visually collaborate with your clients wherever they are. With the SMART Bridgit conferencing software app, you can collaborate effortlessly with local and remote meeting participants*. Use the app with your SMART Board interactive whiteboard or display to view content that is being presented and highlight or annotate over that content. You can create or join a meeting on your iPad with either a WiFi or 3G network connection. Using your iPhone or iPad, you can connect to a Windows PC or Mac OS X and see the files, programs, and resources exactly as you would if you were sitting at your desk, just on a smaller screen. Compared to the Lite version the full version has: Keyboard banners with extra keys, extra keys as ALT,CTRL and the Apple key a well as mouse dragging , hover and mouse wheel. Google docs is an easy-to-use online word processor, spreadsheet and presentation editor that enables you and your students to create, store and share instantly and securely, and collaborate online in real time. You can create new documents from scratch or upload existing documents, spreadsheets and presentations. All your work is stored safely online and can be accessed from any computer. Any app works with a dongle and a projector. What's the big deal? Actually, all apps do not project if you have an iPad rather than iPad2. Thanks Craig I should have mentioned that in the article. I have added it in now. Actually, non of these project your iPads screen unless you connect. None of these turn you iPad into a 'Smartboard'. You can't write on your iPad from the board. Some of these Apps turn your iPad into a remote for you PC or the projection of you PC. They actually make you your smartboard redundant. Can someone please tell me how to connect the iPad to the SMARTboard???? What connecting cable(s) do I need? I bought the one suggested to me, but it is an hdmi to project onto a TV. I was on hold and passed to 3 different people at Apple support who could not tell me, 2 of whom actually asked me, "What is a SMARTboard?" Just Thanks for a great site, very informative and usefull. You just need a VGA dongle to connect to your SMARTboard projector, but there is no way to control your iPad through the board. These apps let you control the laptop or desktop that is already connected to your SMARTboard like a remote. This is what I found. I am going to try it tomorrow. I hope it works. 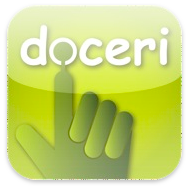 I've tried the Doceri Remote. 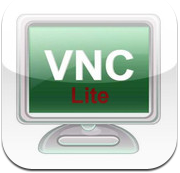 Others are LogMeIn, Remoter VNC, and Air Display. But they really only let you interact with the computer (remotely). They don't let you interact with your iPad on the SMART Board. 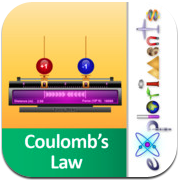 I use doceri, and myself and my students interact with our smart board through the iPad. Works best for moving things around, and advancing slides, zooming, etc... Probably ordering the doceri stylus to see if that helps with writing "live". Love using the camera to share pictures of student work o the smart board to start discussions. I'm looking for an app that would let me display SmartBoard content on an Ipad. I don't need it to be interactive, just to display. Would one of these do the trick? Thanks!! Hi, found this post and thought I'd contribute. I am able to use my iPad 1 with my Smartboard/Projector. Students and myself are are able to write/draw on the iPad and have it mirrored on the board. I've had to jailbreak my iPad (worth it), and am using a tweak that is now available after jailbreaking. Then I have a AV composite cable, which goes into the AV box in the classroom. 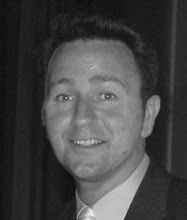 Yes, I am 'chained' to the board, but that means there is no latency, and connection is more reliable and able to use anywhere with the right connections. 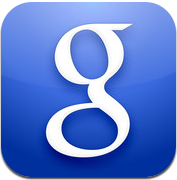 I am also using a great app called 'Goodnotes' for all the writing and drawing bits and pieces. See below for everything I've mentioned. Should also add that the Jailbreaking part is essential. It allows you to mirror EVERYTHING onto your chosen screen. With just the cable, Apple have chosen to only allow video and photo apps to be mirrored, and have the screen otherwise go blank. 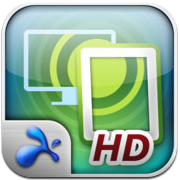 I used Splashtop HD last school year with great success. It was easy to sync with the computer. It allowed me to stand away from the Smartboard, giving my kids free view of the board. It operated exactly the same as it would have had I been sitting at the computer. I Loved It!!! If you want to mirror your ipad2, check out airserverapp.com, it works great, $5.99 for the pc version. I believe the Mac version is $7.99. Both the iPad and the computer must be on the same network o communicate. My opinion after demo'ing both is that reflectionapp is better. As stated in the other comments, the products mentioned in this article are to use an iPad to control a PC. They get the video from the PC to the iPad. If you want the video from the iPad to get to the PC, try one of the apps I've mentioned above. Great list of applications. Many of this I am using in my iPad and all are working very well. What happens to sound with these apps? I have one ipod touch 5th generation with great apps for my students. The problem lies in that they get stuck on using only 1 or 2 of the apps and I really want them to use others. 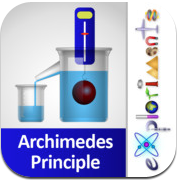 (special eduation class) So, what I would love to see invented is something to allow my smart board to project a product such as my ipod's apps and for then to be interactive on the smart board rather than the ipod...any ideas out there? If I have an app that is interactive on my iPad, can I hook it up and have the kids use the smartboard to use the app? For example I have a vocabulary app that the kids can drag the letters to their position and then it gives the definition of the word in a very visual way. I would like to use it with my kinders and first graders but I don't want them crowded around the iPad. Will they be able to interact with it on the smartboard?